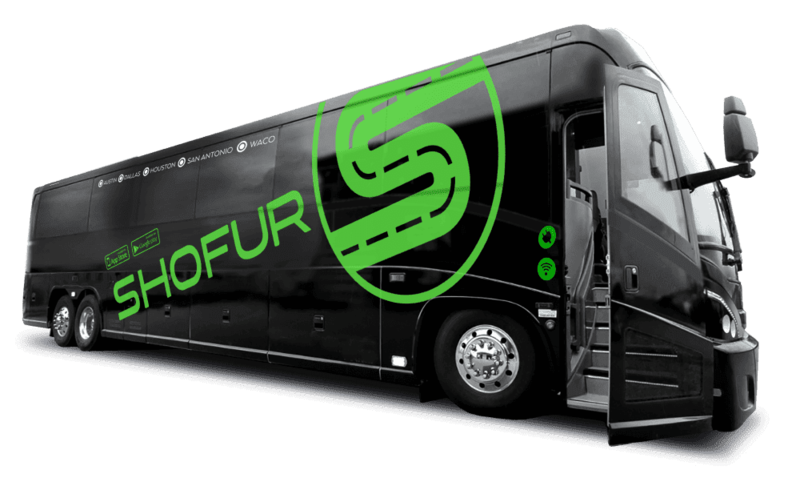 Stay one step ahead by planning your trip logistics with Shofur, a nationwide transportation service supplying one of the largest selections of charter bus rentals in the city. Feel free to call us anytime and our team will arrange to take you anywhere within the city lines or across the country. Our reservation staff is available at all hours to assist you in getting the best value for your travel needs in and around Burlington, Vermont. Burlington is a city in northwestern Vermont with a scenic seat on the eastern shoreline of Lake Champlain. This city is known as the economic and social hub of its region as it carries the rich story of Vermont history within its city streets and architecture. The municipality provides a unique selection of historic sites, downtown shops, and restaurants for its adventurous visitors. As Vermont’s largest city, however, travel has proven challenging for out-of-town visitors. The metropolitan city is home to many packed events within its city lines, crowded interstates, and little parking at its crowded venues. Our travel experts will provide members with maps and travel tips, and an experienced driver to help them navigate the city limits as you plan your trip to the Queen City of Virginia. Shofur operates in over 200 cities, so there is no limit to the number of trips or buses you can reserve to fit your unique travel needs. We provide thousands of buses to trip planners organizing travel for corporate events, school field trips, and private travel throughout the United States. We can reserve a bus for your group in as little as two hours. Our team only offers the latest models with up-to-date amenities, plush seating, and added luggage space. As a major business center, Burlington provides corporations with a window into the heart of the region. Many associations gather in the city’s Chamber of Commerce for its New York enterprise and corporate ventures. Business travelers often have a comprehensive itinerary to follow while traveling around the city but traveling in groups can present a lot of travel challenges. Between rush hour traffic and limited private parking, you can’t rely on Uber or Lyft to transport your whole group of clients to the event at the same time when traveling in separate vehicles. Burlington business centers also don’t provide their own modes of transportation, so hire a private rental to help you plan a successful business outing. Explore why Burlington is an ideal location for corporate conferences and associations with a private charter bus. Our travel experts work closely with a wide network of bus providers across the state to provide top-notch transportation services in the Burlington area. The buses in our network include full-sized motorcoaches for large-scale events and minibuses for smaller private conferences. Your professional driver will be able to handle the navigation and traffic before dropping important clients or guests off at important company events. Your personal chauffeur will then streamline members between their hotels or corresponding parties. Burlington is home to a plethora of parks and recreation venues in serene natural spaces. The Burlington Bike Path is a paved path with aggregate shoulders that runs eight miles from south of Oakledge Park to the Winooski River along the Lake Champlain shoreline. It runs through residential neighborhoods, commercial districts, Waterfront Park, and other parks and facilities. Oakledge Park is located on Flynn Avenue along Lake Champlain at the southern end of the Burlington Bike Path. It offers free WiFi, two reservations shelters, sandy beaches, sand volleyball, paddle rental, bocce courts, an accessible tree house, and an Earth clock. The park is open daily from 6 AM to 4 PM. The city’s Waterfront Park is also only a few miles west of downtown as it is located alongside Lake Champlain’s edge. The park provides visitors with a boardwalk and offers kayak and canoe rentals along with sailing lessons for the kids. Since it is a large city park, it is the site of several music venues and food festivals. Additionally, the Burlington Bike Path runs through the east side of the park and is home to the Community Boathouse, the Lake Champlain Sailing Center, and the ECHO Lake Aquarium and Science Center. This provides travelers with a recreational destination for fishing, sailing, and kayaking. Whether planning a recreational activity closeby or traveling to distant events outside of city limits, we’ll pair you with a custom fleet fit for your group. Our fleet access includes minibuses that hold up to 20 passengers and full-sized coaches fit for up to 56 passengers. Reservation specialists are available 24/7 to help you reserve the bus of your choice for your group at the most competitive rates. High-quality control standards assure you that your experience chartering a bus will be the best in the business. Call one of our reservation specialists now to reserve a ride. Burlington offers tourists many centers and exhibits for daily learning, one of the most popular is the ECHO Lake Aquarium and Science Center. This center houses more than 70 species of fish, invertebrates, reptiles, and amphibians. It also offers the multimedia Awesome Forces Theatre and an array of major traveling exhibits. ECHO stands for Ecology, Culture, History, and Opportunities making its goal to educate, delight, and encourage stewardship and learning from its visitors. It is located at 1 College Street and is open daily from 10AM to 5 PM. The Ethan Allen Homestead provides tour groups with an insight into the life of Ethan Allen, who was born in Vermont 1738 and lived there until his death in 1789. The exhibit offers ways for modern tourists to understand Victorian living by touring a realistic impersonation of his homestead. His house is small, but you can gain an understanding of daily life in the late 1700s. It is located at 1 Ethan Allen Homestead and is open daily from 10 AM to 4 PM. Wander the most prized historic landmarks of the city in a private ride. Keep students and mentors connected between campuses or galleries without having to lift a finger. After your tour, your professional driver can help you transport all your guests between their meeting space and hotels so no one will have to drive themselves through an unfamiliar location. For comfort and entertainment, your tour group can choose from modern amenities such as WiFi, restrooms, TV monitors, DVD players, luggage bays, and more. Our team will ensure that everyone in your group arrives safely and on schedule, no matter the distance. When planning your vacation to Burlington, it’s important to consider your travel arrangements ahead of time. For a quality motor coach service with the latest amenities for your group's trip to Vermont, call one of our Shofur reservation specialists to reserve your rental. Our travel consultants are available 24 hours a day and can provide you with your choice of minibus, full-sized coach, or any size in between at the most competitive rates on the market. Even when planning a short notice reservation request with Shofur, your travel needs are our priority.